One thing I have realized over the years is that seasoned PR pros are prolific idea people. Lots of creativity, with a persistent “can do” attitude. They know what interests and motivates a given audience, and what channels to use to get to them. This was evident at an exhilarating one-day event to help out local nonprofits in the L.A. area last Saturday, called Quality Time with PR Minds, sponsored by PRSA-LA, Kaiser Permanente, RAND Corporation, Allison & Partners, PainePR and others. Teams of PR volunteers provided free brainstorming for nonprofits that have limited funds and resources for retaining professional PR counsel. Speed-date consultation, if you will. The mix at this event included folks that could add a good dose of marketing communication savvy, making each group of 3 or 4 volunteer consultants a potent little brainstorming forum. The non-profit beneficiaries kept their pens scribbling, their heads nodding, their responses juiced. They were smiling. My team sessions were for Volunteers of the Burbank Animal Shelter, and L.A. Cada (Los Angeles Centers for Alcohol and Drug Abuse) and they were revved up, with ideas ranging from maximizing the awareness-building effects of a 40th anniversary event to viral video strategies featuring personal benefit-success stories. Lots of practical thoughts about efficiency and reach, also. Someone working with or for a nonprofit who is very close to a given equation for too long needs fresh perspectives. The nonprofit representatives not only got ideas they hadn’t thought of, they got obstacle-dodging strategies for many of the avenues they had previously explored and dismissed. It feels good, no, feels great, doing this. My hats off to the insightful colleagues that I met, or reconnected with, during this event. Just when you think you fully understand the buying influences and the right messages, think again. One thing that I’ve learned during my career is to routinely take a second or third look, after you think you’ve got a market all figured out. BtoB buying influences can easily allude the marketer or PR pro who goes with “obvious” conclusions. 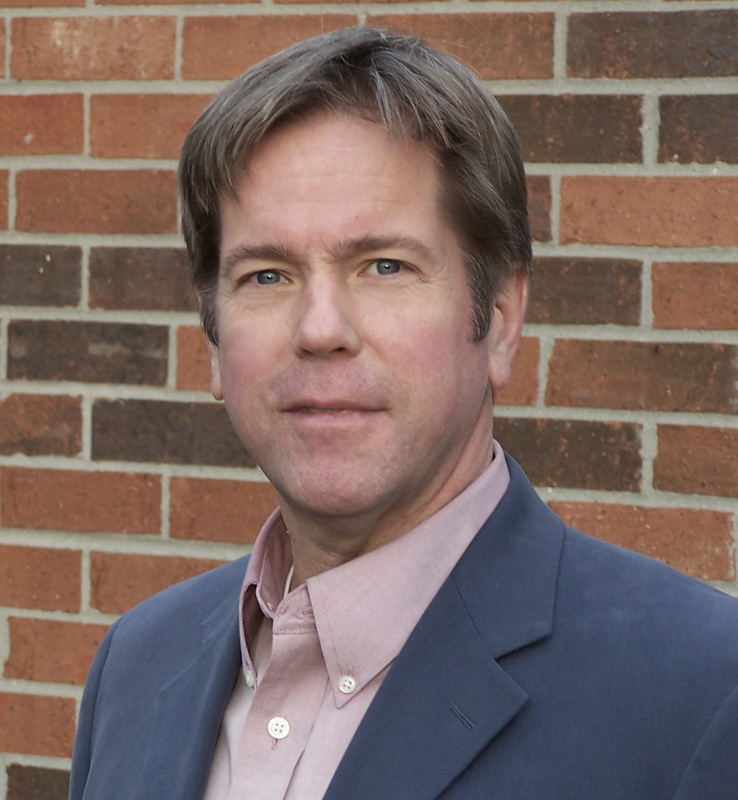 Early in my career I worked with an Italy-based company (DEA) that made multi-axis, robotic-like digital equipment for probing durable goods components to measure dimensional accuracy. During the automated routine, the probe would touch points on the part, ensuring that holes and features were within tolerances specified to meet quality objectives. Back then, the new kids on the block in the manufacturing world were the “quality” people, working in lab coats in Clean Rooms, carefully measuring samples (first parts of a production run, for example). These were the typical users of the Coordinate Measuring Machines (CMMs) our client was selling. So of course, it would make sense to direct the advertising and PR toward these Quality Control engineers. What we didn’t first realize and acknowledge was that the Manufacturing and/or Production Engineers (the guys that specked out and ran the “dirty” work out on the shop floor), actually controlled more budget dollars for the Clean Room quality control equipment than the quality guys. Plus, the Manufacturing Engineers were starting to get the CMMs out onto the production floor to achieve faster checking and higher sampling. 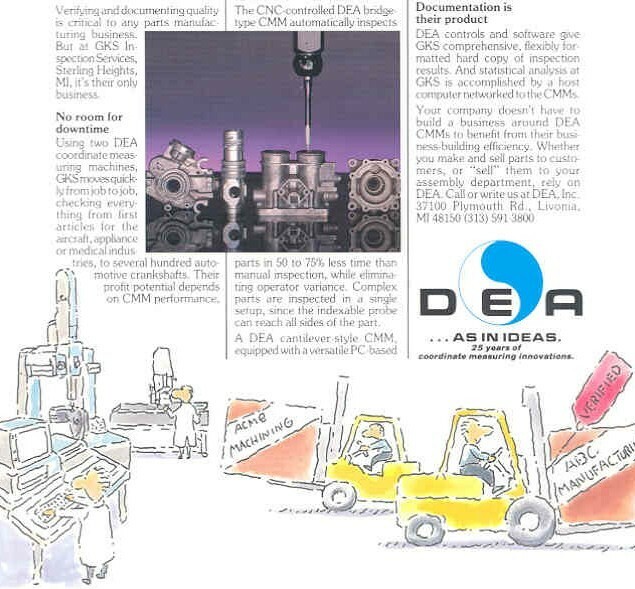 So, while the heavy competition (there were more than 12 CMM builders at the time) were still grinding away with their ads and PR in Quality and Quality Progress magazine, we targeted the publications that the Manufacturing Engineers read – and created messages specifically relating to their world. DEA’s market share steadily grew, while others floundered or disappeared. DEA was later bought by US-based Brown & Sharpe.